The first sip of this wine did not do it for me. It was sour and a bit thin. Not that I wanted more sourness, it just caused a disturbing sensation in my mouth. The sourness is not from the sulphites in the wine – those tend to stand out and be rather distinct. On the second and third taste the sourness dissipates but the wine does not really blossom. There is a flavour – hints of cherry and some other fruit. But it is not a complex flavour. It is just there. You won’t get too much complexity under ten bucks. The sourness is always there – but by the third sip it had mellowed. I guess my taste buds had become accustomed to this. Or, I had stopped worrying about it. This is a wine that really shows its price. It is drinkable, but just. Good to take on a picnic where one wants something cheap and drinkable, but does not want to get the urge to drink too much. This idyllic image was not taken on April 26th. It was taken in Ukraine some times in July 2014 – around the time the Russian backed forces shot down the Malaysian plane. 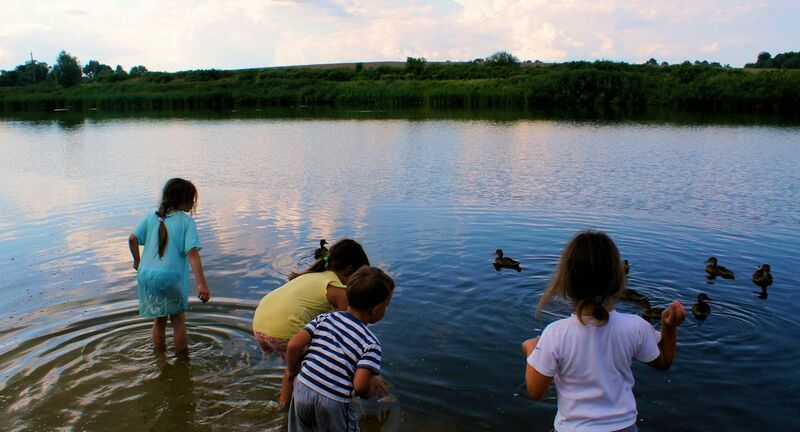 I was going to title this image kids and ducks but since I’m posting this on April 26, I’m titling this after the date because in 1986, about 90 kilometers away, the reactor at the Chornobil nuclear facility blew up. It is kind of weird doing a review of an album that most everybody knows. It is also weird doing a second soundtrack right after I did Man of LaMancha a few weeks ago. Random selections from the wall of records are funny that way. But that was a play and this is a movie. This album has all the favourites. Even the ones you don’t care about but still know by heart. It sounds just like the movie so you can close your eyes and see the movie in your head while this album plays. I have never been able to do that with any other piece of music – I can’t see the rock videos of songs that I hear. 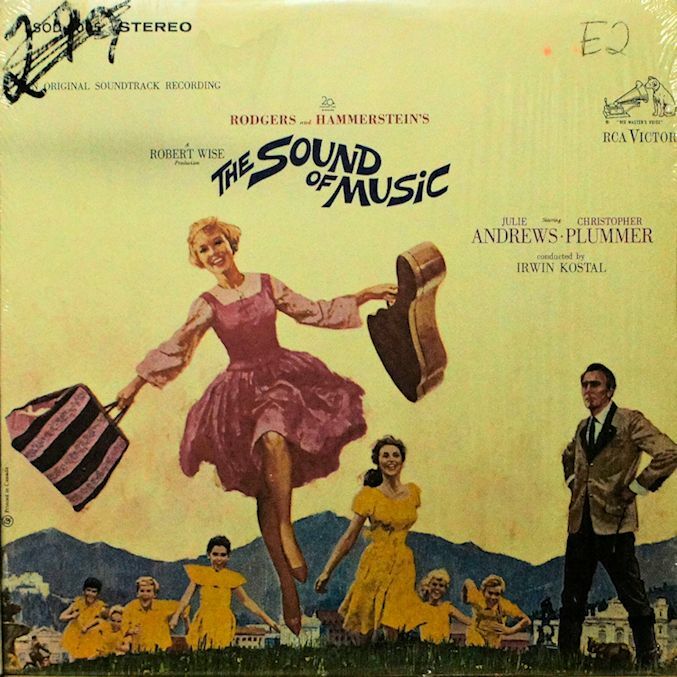 This Sound of Music is powerful stuff – my son recoiled in horror when I put the record on. I mercifully spared him the pleasure/pain of listening to this very notable piece of work. 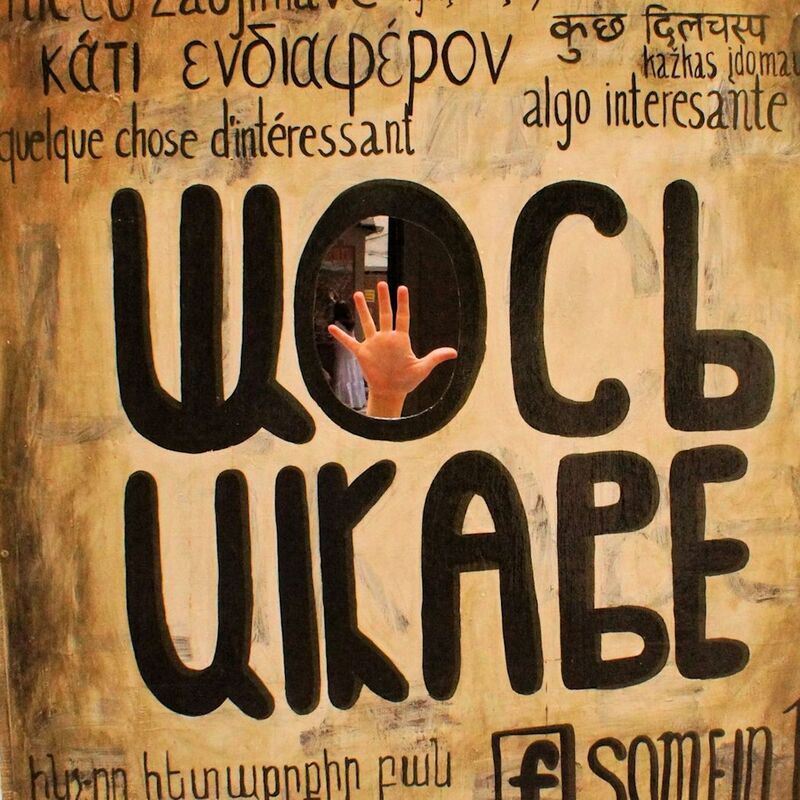 This shop in Lviv, Ukraine has a great sign with multiple languages and a hole where the “O” should be. The shop is called Something Interesting. Spacy and ethereal is short way to describe this album. Jarre is an interesting musician in that his music bridges the gap between experimental and pop music fairly well. Whereas music by people like Klause Shulze never achieved mainstream success, Jarre took that concept and made it pop friendly and more acceptable. There are interesting tunes here. Some are danceable. Some are nice and quirky. One, the final song on the second side, “Magnetic Fields, Part 5” sounds a bit like something you would have heard in the restaurant, ballroom of a Holiday Inn hotel just off Exit 187 back in the 1970s. It is an interesting composition – but a little cheesy. 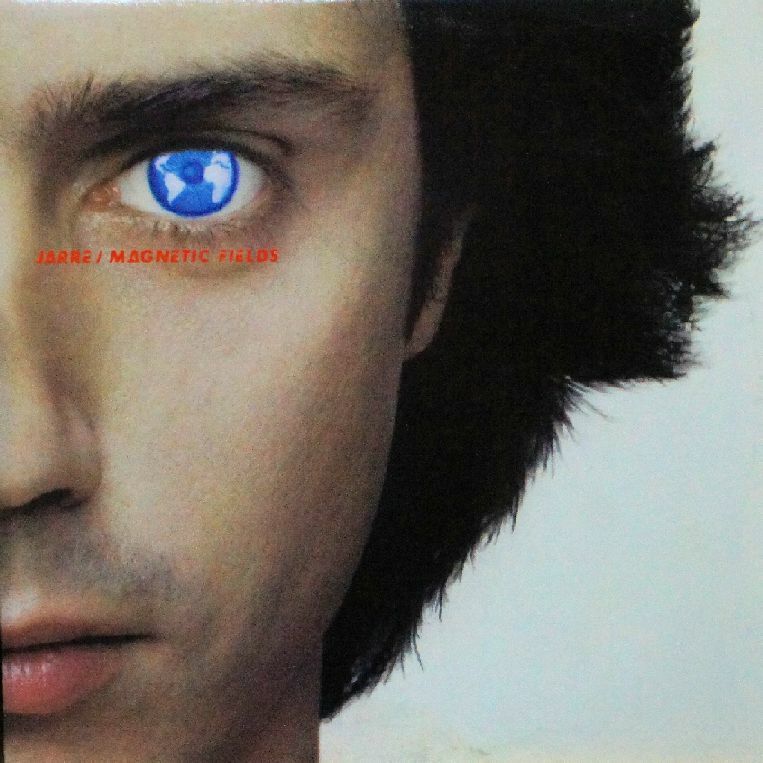 I like this album a lot, and I like Jarre’s work. Anybody with an album collection should have at least one of his compositions. So I’ve had a few bottles in the past year or so and I’m getting a little absent minded when it comes to what I’ve tasted and what I have not. Here is the first one that is a repeat. It is not a complete repeat as this “vintage” is 2014 and the one I sampled previously was from 2012. I’d like to say it is a completely different wine but that would not be true. It is near impossible to compare the two wines as much time has past and the tasting notes have been taken by the wind. The label is different. Much different. What has remained is that this wine is excellent. A great wine hanging around as an imposter in the world of sub ten dollar wines. To truly get a much better wine you would have to pay about three times the price. And this is not an economic argument. This wine is a pleasure to consume on its own merits.